A spontaneous process is a physical or chemical change that occurs with no outside intervention. In life, many things happen spontaneously. 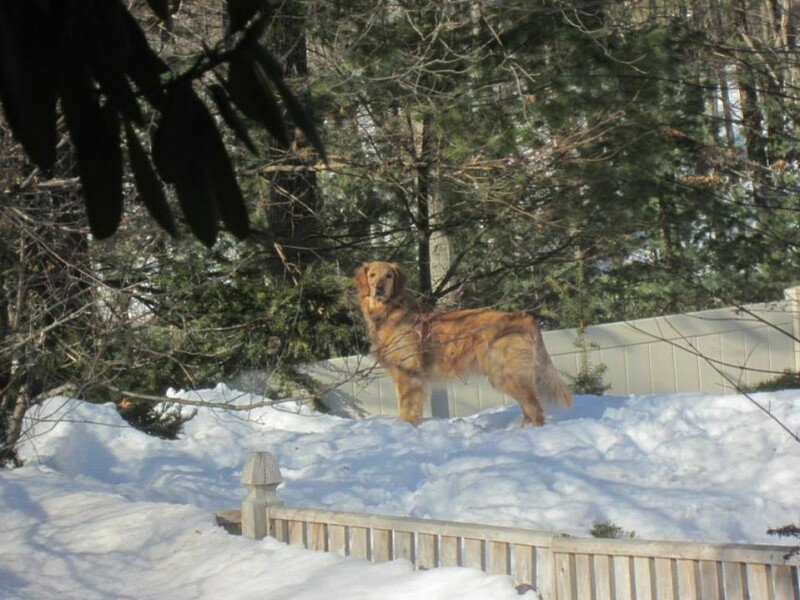 For example, my dog escaped over the fence in the winter. It was spontaneous as she just walked over the fence on her own accord with no real special effort. The condition was just right as the snow was piled up so high that she could do that. Everyday, there are many chemical reactions that take place spontaneously that are not so exciting and probably no one bats an eyelid when they happen. One example is rusting. It is a process that happens on its own without any intervention but the right conditions must exist first to allow it to happen. When a spontaneous reaction takes place, it either gives off or absorbs heat. In rusting, the process gives off heat. ∆H is the change in heat between the products and the reactants and is measured in kJ. EXOTHERMIC — heat given out — negative ∆H — because energy needed for reaction is LESS than total energy released. ENDOTHERMIC — heat absorbed — positive ∆H — because energy needed for reaction is MORE than total energy released. 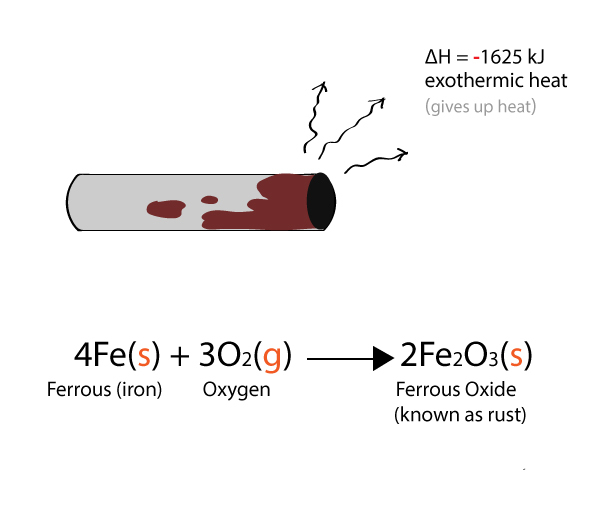 Rusting is an exothermic process — giving off heat. But it is so slow that you won’t feel the heat standing next to a rusting iron. The heat pack that you use for a skiing trip is an example of exothermic reaction. In a non-spontaneous process, you would have to do something to convert something back to its original form. 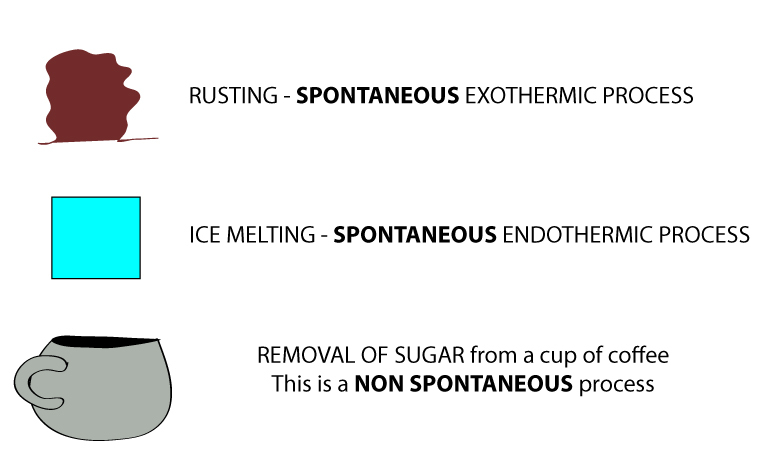 Spontaneous processes can be exothermic or endothermic. This will lead to your study of the next chapter ENTROPY.